The Moskitoo button set is a pair of 1" circular buttons featuring full-color designs by Moskitoo's Sanae Yamasaki. 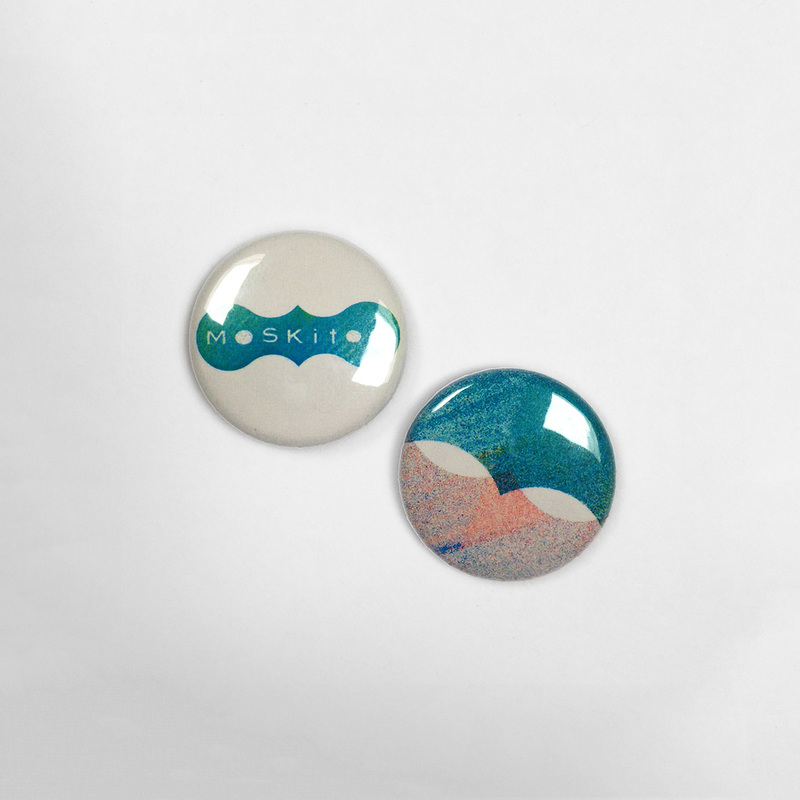 One shows the Moskitoo logo and another a detail from the cover art of the new album Mitosis. The set will come free with the pre-order of the Mitosis CD and is also available for sale separately.